The 100 organoids are derived from the tumours of patients with colorectal, oesophageal and pancreatic cancer. Available to researchers worldwide, they will enable studies into cancer development and biology, as well as drug discovery. When cancer spreads, this metastatic stage of the disease is usually lethal. An analysis of immune cells that cluster with tumour cells in the bloodstream illuminates a partnership that might aid metastasis. Monsanto, acquired by Bayer last year, is also facing lawsuits in the United States over alleged cancer links to glyphosate-based weedkillers. Lasso used a different active substance to glyphosate. The names of the awardees seemed strangely familiar. Then it hit me: this was the 2014 paper where they looked at hard water consumption in Sri Lanka and then suggested a tie between heavy metals and maybe glyphosate. The paper presented a hypothesis. There were no data. There were no experiments. There's really no nice way to put this. The AAAS has severely damaged its own reputation. This was a self-inflicted gunshot wound. What on Earth were they thinking? We can only speculate, but it's difficult to avoid wondering if the organization's relatively new CEO has something to do with it. I would emphasize here that the absolute risk of these cancers in young people are very small, however the point of this data was something far more important: these rising numbers are loud in their impact. The USPSTF recommends against screening for pancreatic cancer in asymptomatic adults. Esserman argues that given how widely tumors vary, both in form and severity, it is ethically unsound to frighten patients by telling them they have cancer when in fact they don’t have a risky prognosis. But Dr. Murali Varma, writing in the same issue of The BMJ in a counterpoint to Esserman, argues that renaming certain cancers is likely to be confusing and proposes education as a better way forward. The genetic testing company rebuts an editorial’s criticisms of its health test. 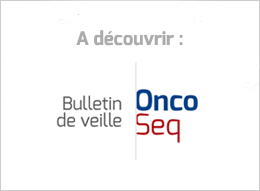 “Our study did not report any decrease in image quality when self-compression was performed,” said lead study author Dr. Philippe Henrot of the Institut de Cancerologie de Lorraine Alexis Vautrin in Vandoeuvre-les-Nancy. As we wrote recently in the Journal of Clinical Oncology, cancer care at home could yield equal or higher-quality cancer care and greater patient satisfaction at lower cost than traditional care in a hospital or physician’s office. Evidence generated from real-world use, such as real-world evidence (RWE) may provide valuable information, alongside RCTs, to inform medical product decision making. To explore the potential for using RWE in medical product decision making, the National Academies of Sciences, Engineering, and Medicine planned a three-part workshop series. By stabilizing a specific metabolic protein called pyruvate kinase M2 (PKM2)—also preferentially oxidized in the heart—with a drug compound, the researchers completely prevented heart damage from the chemotherapy, and enhanced the potency of the chemotherapy against lung tumours in preclinical mouse models. The results suggest margetuximab could be an option for patients who may be close to exhausting other therapies. All the patients in the study had previously been treated with Herceptin (trastuzumab) and Perjeta (pertuzumab), and about 90% had received Kadcyla (ado-trastuzumab emtansine) as well. All three drugs are sold by Roche. We don’t know yet how those numbers translate to months of added PFS, or the overall survival rate. Researchers are still pondering OS. Margetuximab improved progression-free survival (PFS) compared to HERCEPTIN® (trastuzumab), when used in combination with chemotherapy in patients with HER2+ metastatic breast cancer. Fifty patients with advanced Merkel cell carcinoma were enrolled in the (not randomized) trial. After receiving pembrolizumab, 28 saw their cancers shrink or even disappear — an unusually high rate of response for a solid-tumor cancer. Barron has been outspoken about shifting the focus in R&D to oncology, where he is pushing to make a comeback several years after the former executive team at GSK swapped out its commercial oncology portfolio to Novartis in exchange for a batch of vaccines. The new research followed nearly 2,000 women as they were scanned in the years after a benign cyst diagnosis. Overall, in 80 per cent of cases the cyst resolved or did not need intervention, the study found. Twenty per cent of cysts disappeared entirely, while 16 per cent of cases underwent surgery. In total, 12 women were subsequently diagnosed with ovarian cancer - suggesting a risk of 0.4 per cent. Ms. Pelosi also took a dig at Mr. Trump’s plan, detailed on Tuesday, to invest $500 million over 10 years toward the development of new cures for childhood cancer, characterizing it as paltry. “Five hundred million dollars over 10 years — are you kidding me?” she said. As of September 2018, the agency has received a total of 660 total medical device reports regarding BIA-ALCL cases in the U.S. since 2010. Of the 660 MDRs, our in-depth analysis suggests that there are 457 unique cases of BIA-ALCL, including 9 patient deaths. I’m not alone in my suspicions that dubiously produced papers are getting published. Informatician Cyril Labbé at Grenoble Alps University in France and I have developed a tool, Seek & Blastn, to identify such papers on the basis of wrongly identified nucleotide sequences. So far, our work has uncovered dozens of papers and resulted in 17 retractions, with several investigations pending.